Munmorah Power Station’s remaining boiler house and coal hoppers were recently simultaneously demolished via controlled explosive demolition techniques. The blast was the final explosive demolition event to be carried out during the course of the power station’s removal, following the toppling of the chimney stacks and the other boiler house last year. The task was undertaken by specialist demolition and remediation contractor, Liberty Industrial who are a leader in this field. Contracted by the power station’s owner, Generator Property Management, Liberty Industrial have been carrying out the demolition of the power station since July 2016. 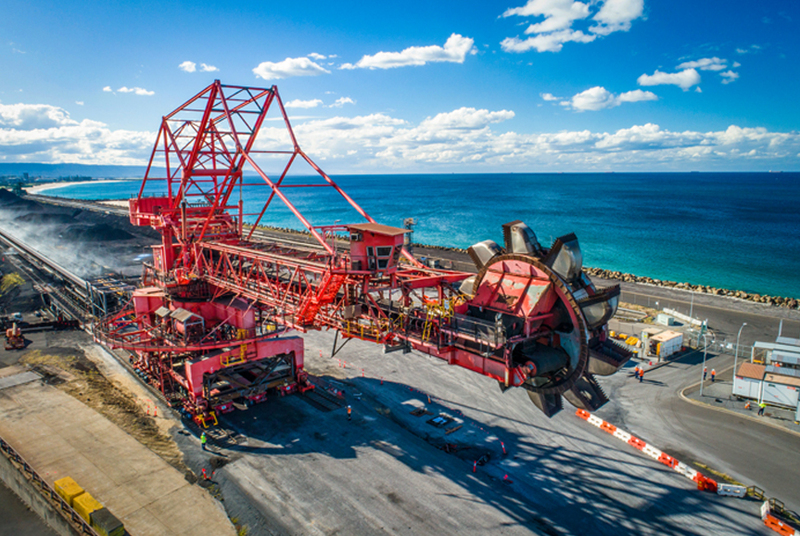 Following the record breaking explosive demolition of the power station’s 23,000 tonne boiler house carried out in May last year, the demolition would constitute the largest explosive demolition undertaken anywhere in Australia to date. Liberty Industrial used a controlled explosion to bring the structure down. The demolition was achieved with an engineered induced collapse demolition technique. Months of planning and preparation took place in the lead up to this event, which culminated in the detonation of strategically positioned explosives used to collapse the structure and reduce it to a suitable height for processing with heavy machinery. Liberty Industrial Director Simon Gill praised the project team for their efforts. Liberty Industrial’s fleet of heavy duty demolition excavators including a custom built 260 tonne demolition excavator will process the resulting debris before the material is removed from site for recycling. The removal of the power station is expected to be completed by September 2018.